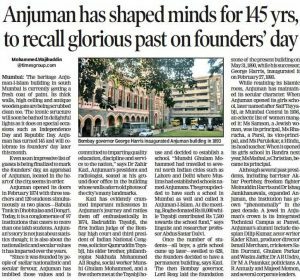 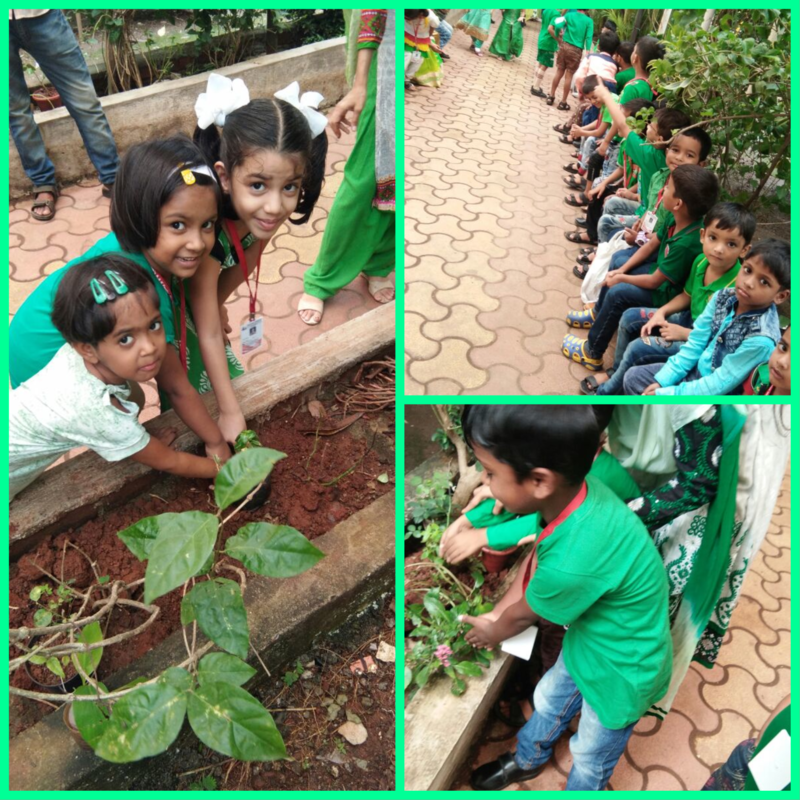 On green day Anjuman-I-Islam’s pre-primary section celebrated plantation and germination day on 27 July 17 .Children were learnt about the color green that form 3rd band of our flag and symbolises growth, harmony and freshness .Green is the color of the nature. 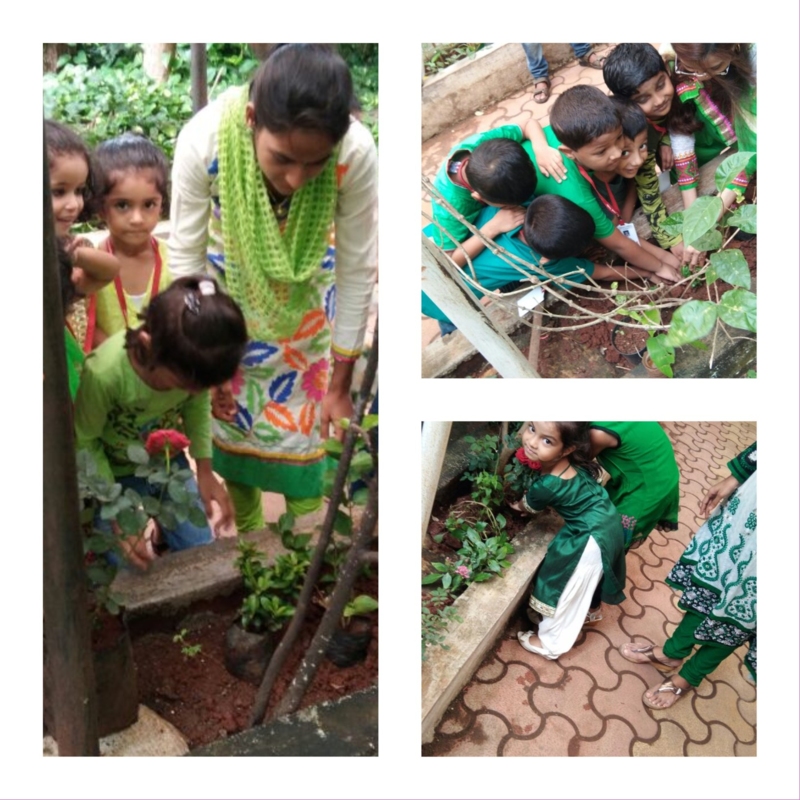 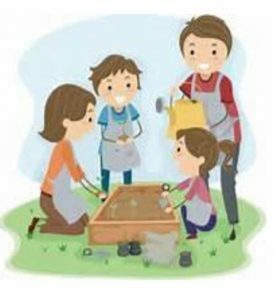 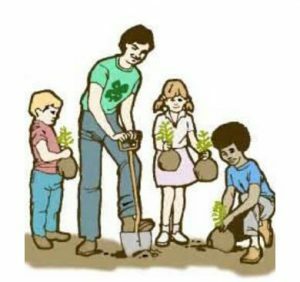 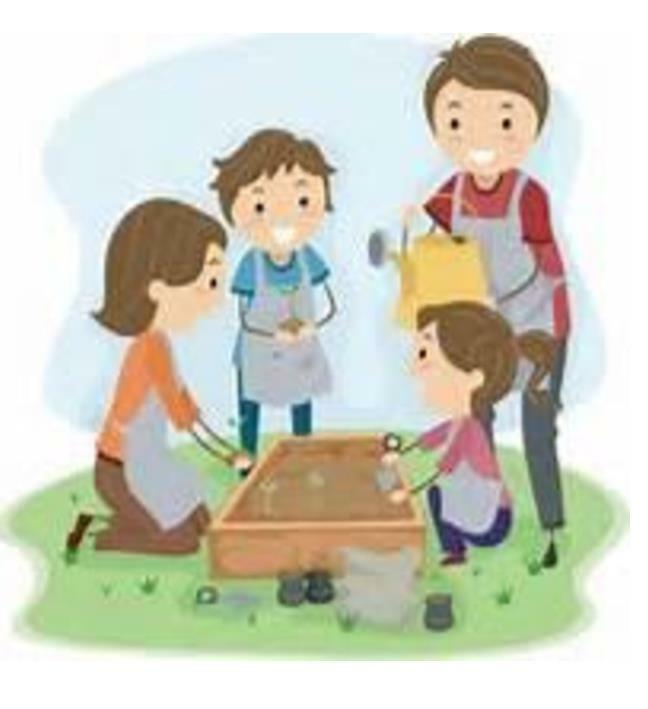 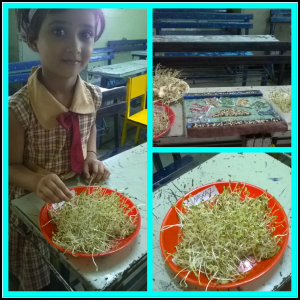 Sr.kg children planted sapling and watered them and learnt about keeping the world green .Children of Nursery and Jr. Kg put the seed in the mud and watered the seeds .The teacher briefed them about the germination of seed. 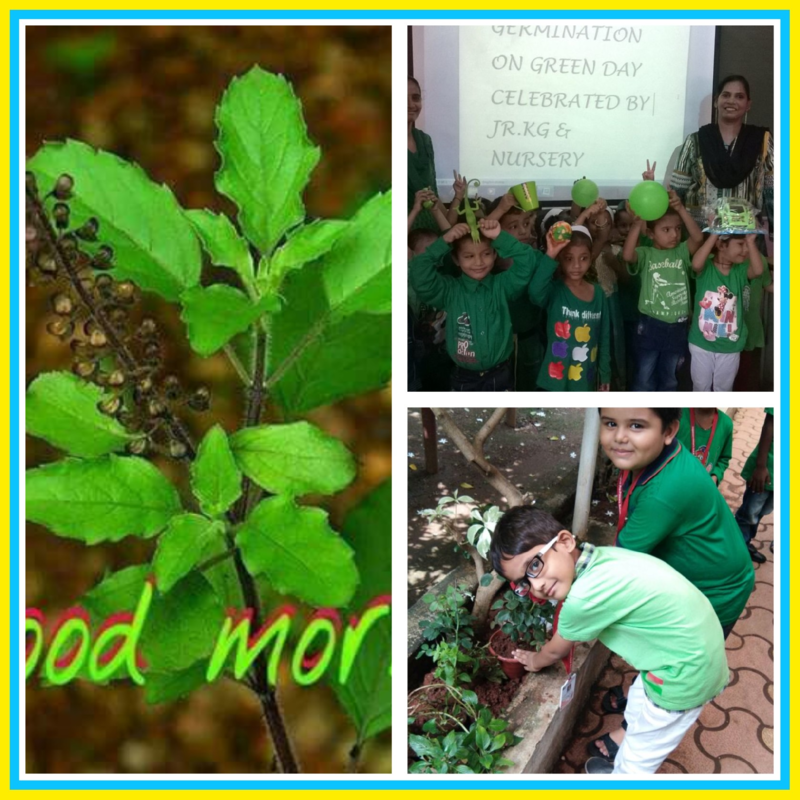 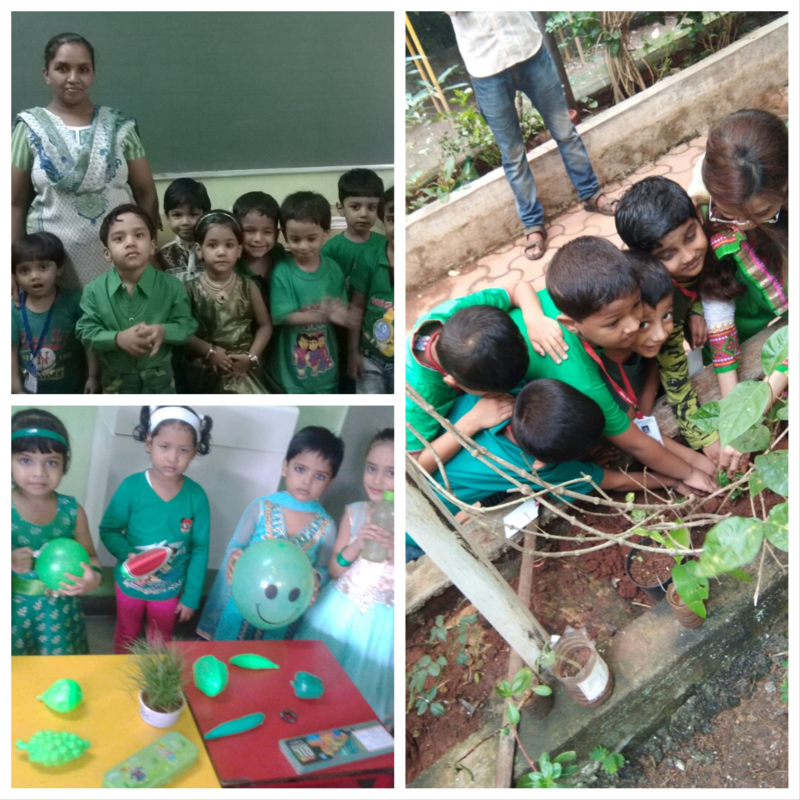 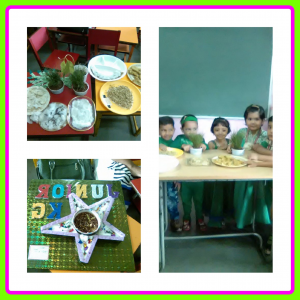 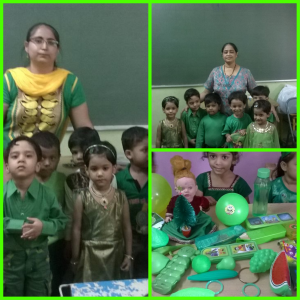 The day was also celebrated as a GREEN DAY.Children and teachers came in a green colored attire .Children are taught identification and recognition of green fruit ,leaves vegetables etc. 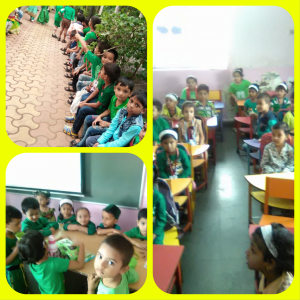 Green day was a practical learning experience for children and was very enjoyable .It was celebrated with a great zeal & enthusiasm Children enjoyed the day and activity.